Looking for a honeymoon destination that has everything from beaches to vineyards, cities, and more? Start planning your Chile honeymoon here. If you’re thinking of a Chile honeymoon, you probably enjoy at least three things: outdoor activities set amongst breathtaking backdrops, delicious wine made from local vineyards and stretches upon stretches of beaches. That’s only a taste of what you’ll discover on your romantic escape to this long, narrow strip of a country. 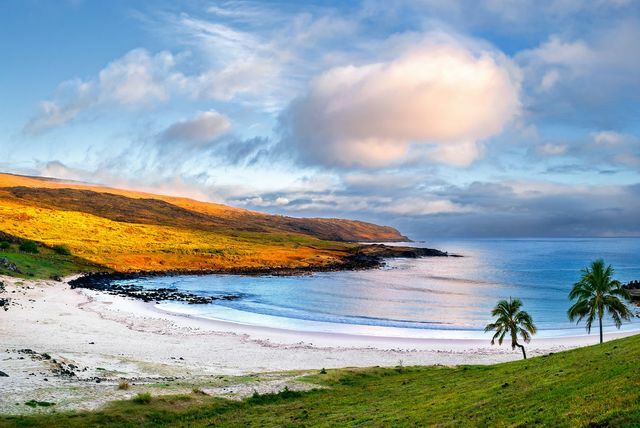 Chile spans more than half the length of the entire South American continent and is a perfect romantic hideaway for a honeymooning couple, mainly since the country is almost entirely coastline (and filled with more beaches than you could even imagine!). The Chilean people are some of the friendliest you’ll meet and are very open to showing tourists the beauty that is their homeland. Excited to plan your Chile honeymoon? Here’s how to make sure it’s nothing short of a magical adventure. Thanks to Chile’s geographical diversity, the climate is relatively welcoming to visitors any time of year, though some months are more ideal than others. It really all depends on where you plan to visit, since the country spans more than 2,700 miles long! If you’re honeymooning in the central and northern parts of the country, the best time to go is from August to November. 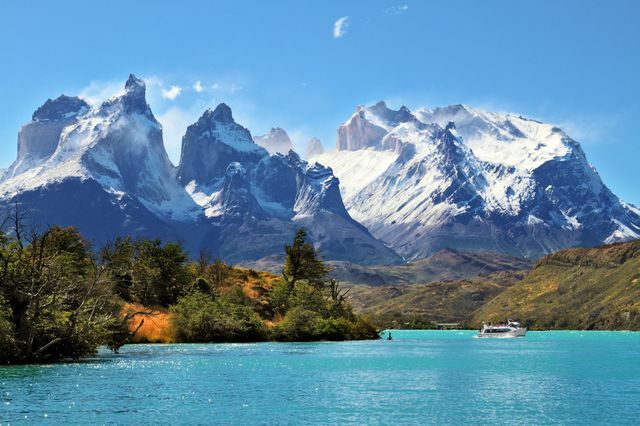 If you’re visiting the southernmost regions during your Chile honeymoon, it’s best to travel from November through March, when the Patagonia area is less freezing. You’ll want to especially avoid the summer months of June through September in this region, as most of the lodges and attractions are closed for the season. 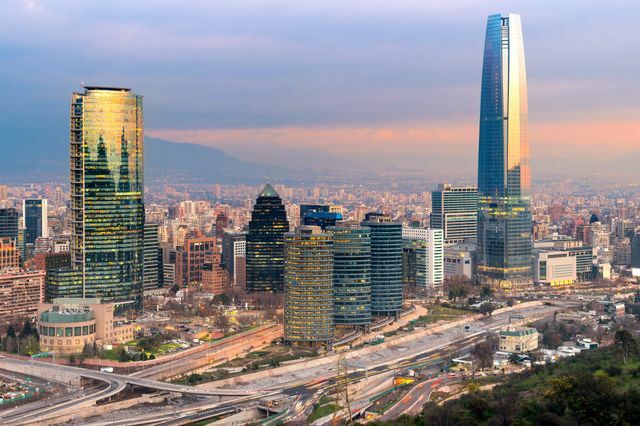 Of course, a Chile honeymoon wouldn’t be complete without stopping by the country’s capital and largest city, Santiago. This entrypoint to the country is home to more than 5 million people and features city skyscrapers amongst a stunning, snow capped mountain backdrop. There’s lots to see and do in the fine city of Santiago, but the best way to take it in as a newcomer is through a downtown walking tour through the historic district where you’ll see breathtakingly beautiful cathedrals (namely Catedral Metropolitana de Santiago, Iglesia de San Francisco, Iglesia de Santo Domingo and Iglesia de los Sacramentinos) as well as marketplaces and museums. The city is easy to navigate on your own, too, since it was designed in a grid-like fashion similar to New York City. Those who enjoy hiking and biking will want to travel up to Cerro San Cristobal, the city’s highest hill which offers stunning panoramic views. The Elqui Valley is the home of the country’s pisco production, so be prepared to taste plenty of this white brandy made from muscat grapes. It’s also downright gorgeous, with its mountainous ranges and peaks throughout. One of the most romantic things to do while visiting the Elqui Valley is stargazing—they even have tours designed to help enhance your experience. The region itself experiences clear skies almost every single night of the year (360 to be exact! ), so prepare to see far more stars than you do back home. Additionally, horseback riding through the valley is very popular and also a romantic activity to do while on your Chile honeymoon. On your way to this beautiful city that’s less populated—but equally charming—than Santiago, you’ll want to stop by wine country, specifically the city of Casablanca. There you’ll find slightly cooler temperatures and some of the best wines in the region. There are plenty of famous beaches and honeymoon resorts where you can spend your time relaxing and sipping in a stress-free environment. Once you arrive to Valparaiso, or Valpo, you’ll have everything at your fingertips to continue relaxing and enjoying—think, beaches, markets, restaurants, boutique hotels, etc.